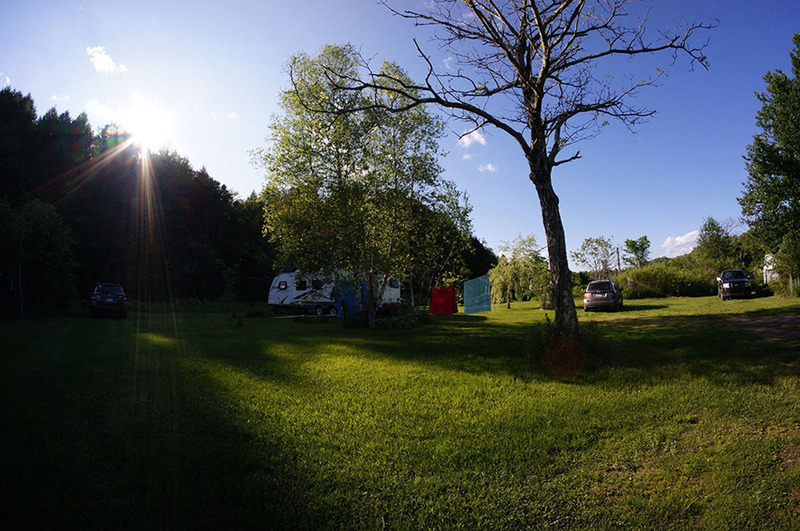 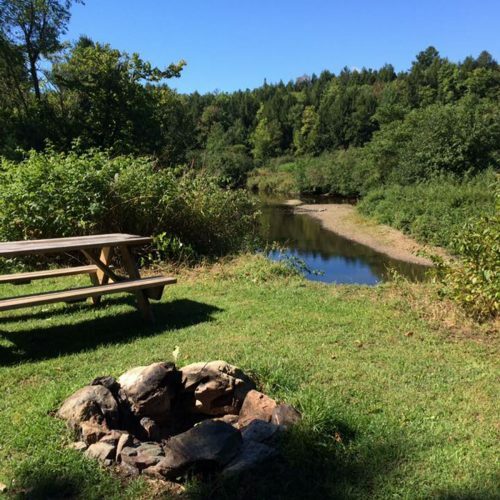 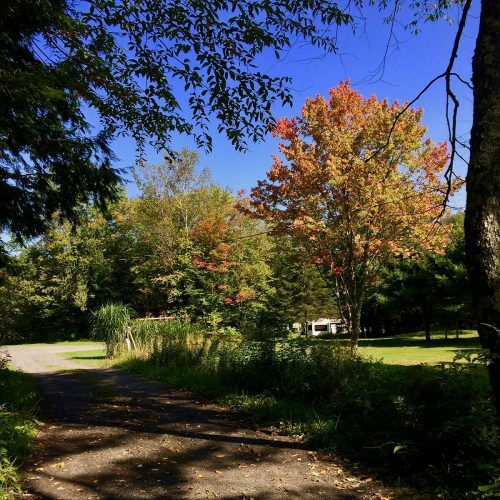 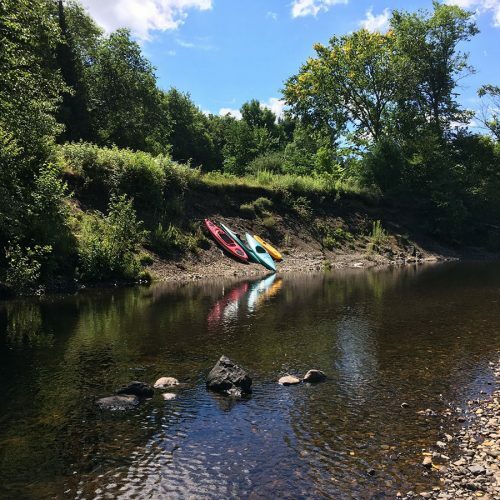 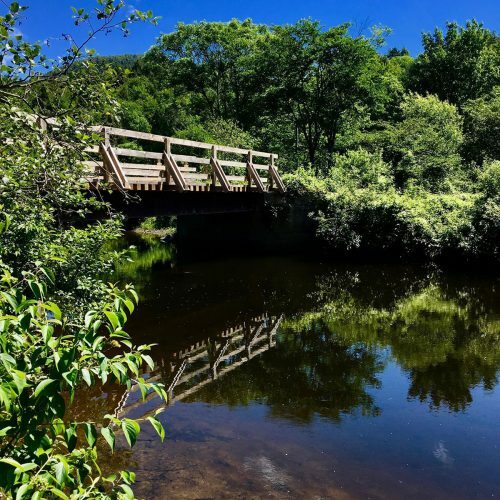 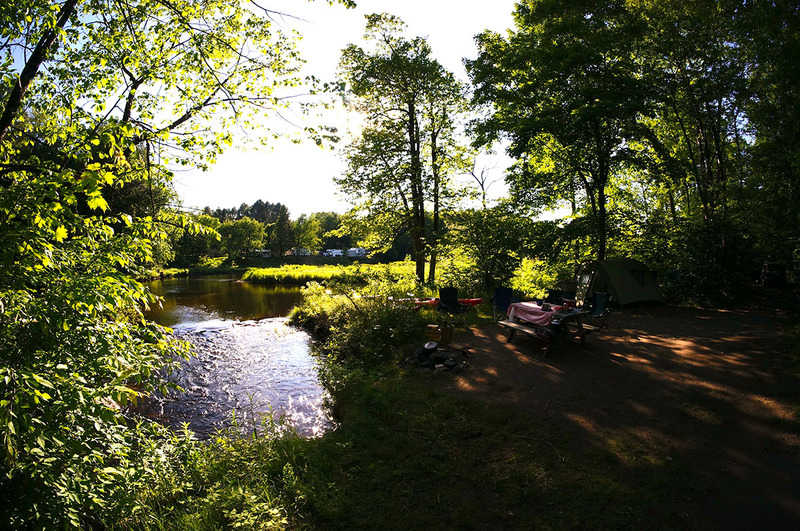 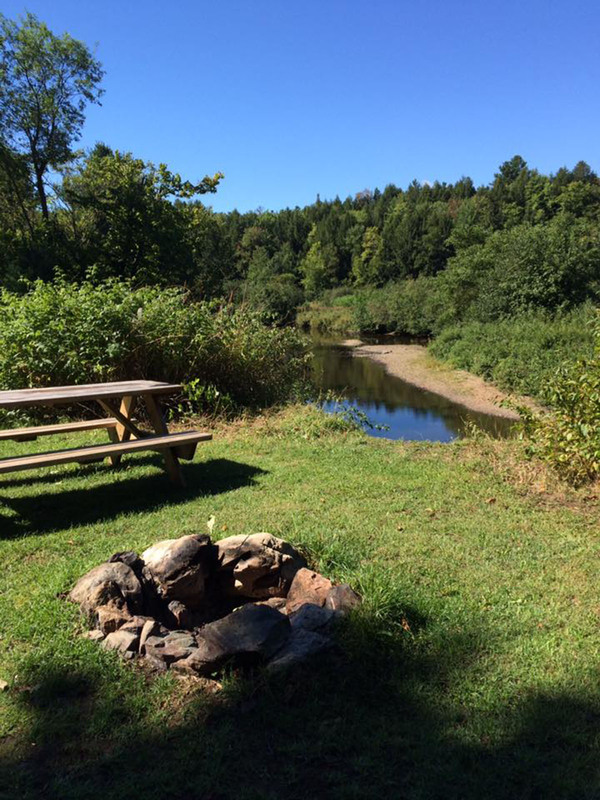 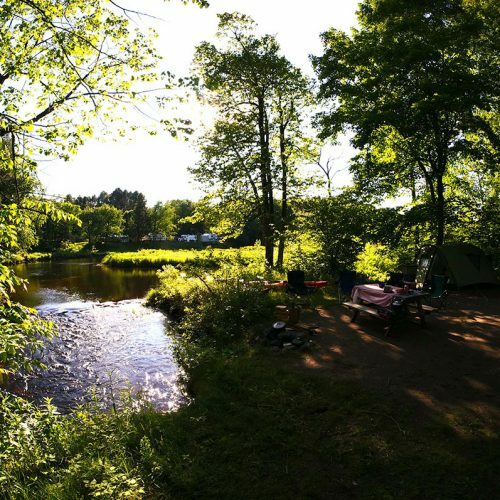 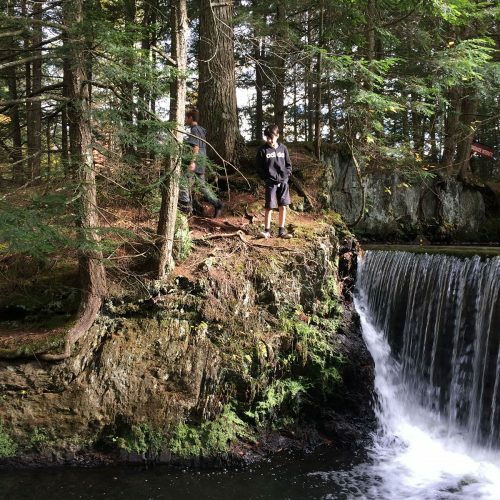 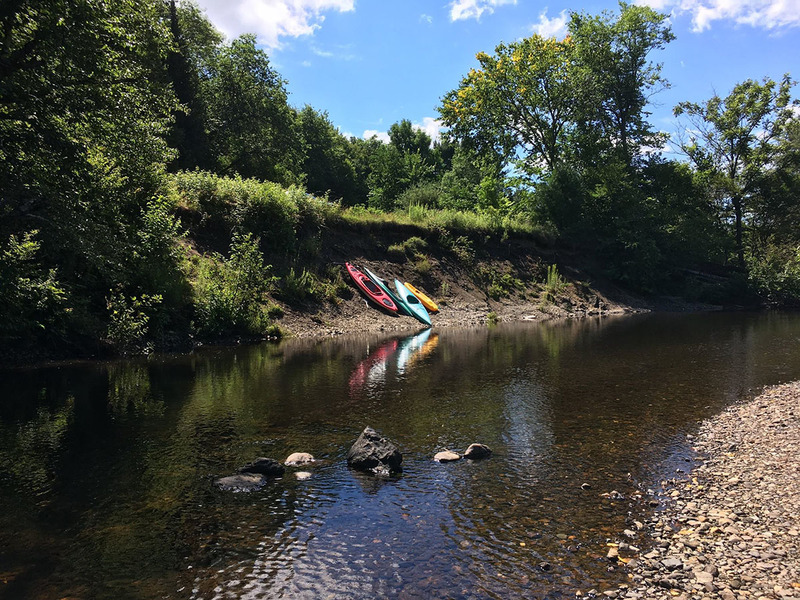 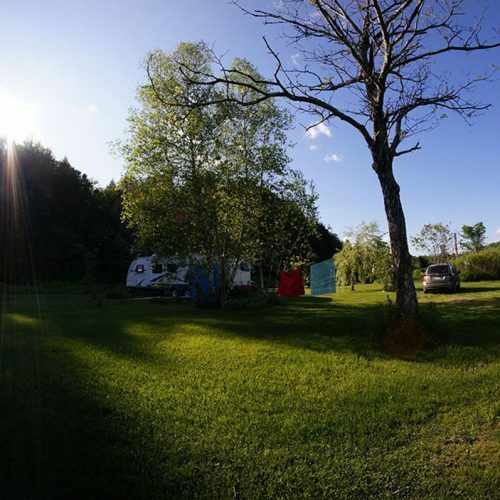 At the foot of Mount Pevee, on the shores of the winding Missisquoi River, Havre des Îles campground invites you to relax and rejuvenate on one of our spacious and very private camping sites. 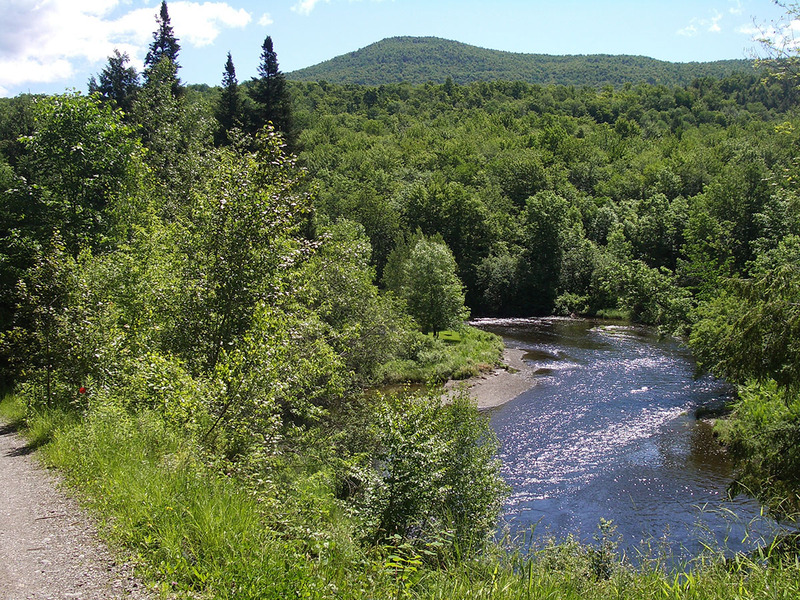 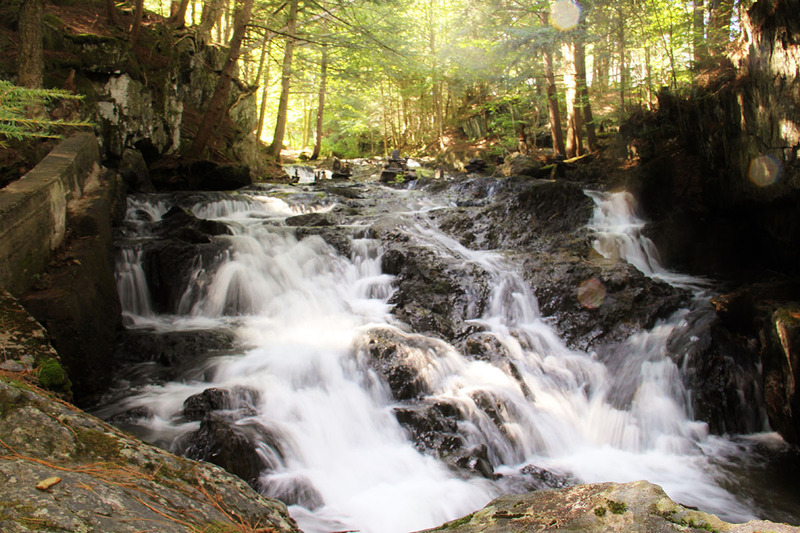 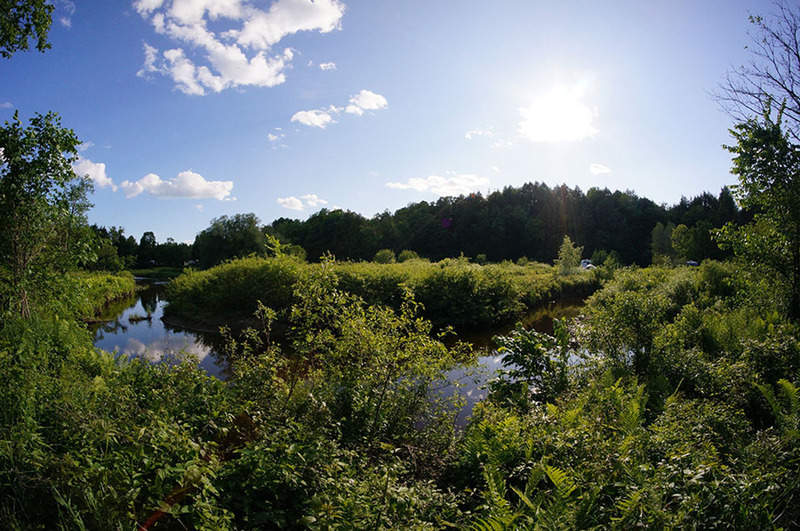 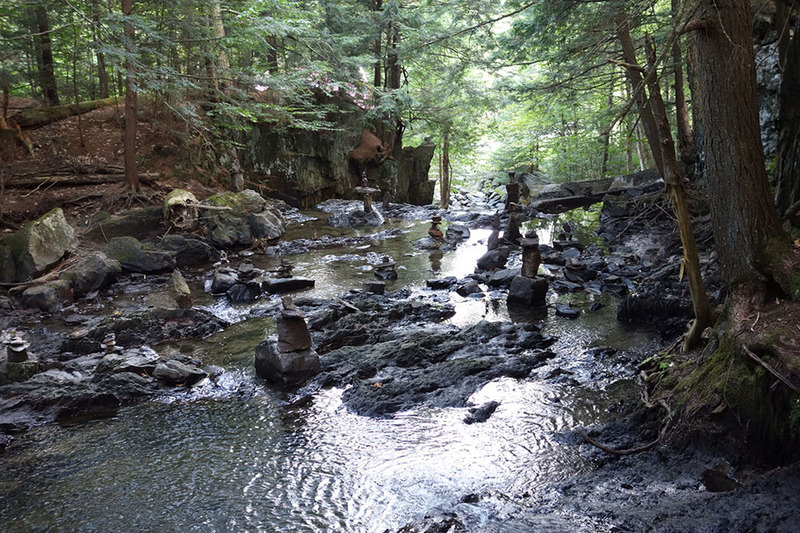 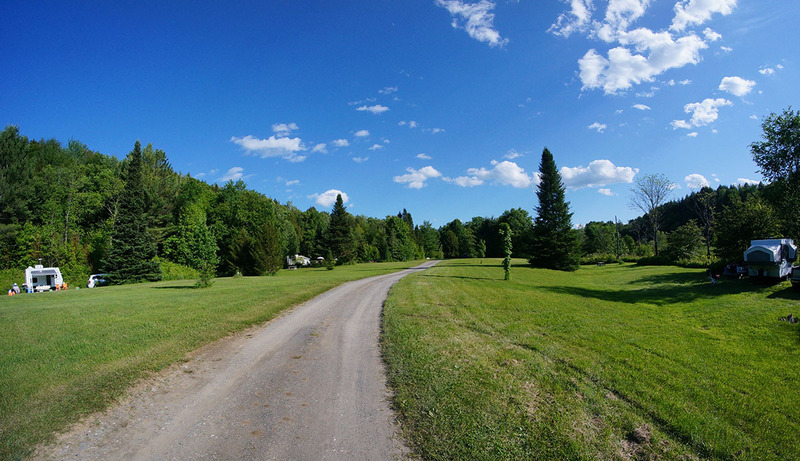 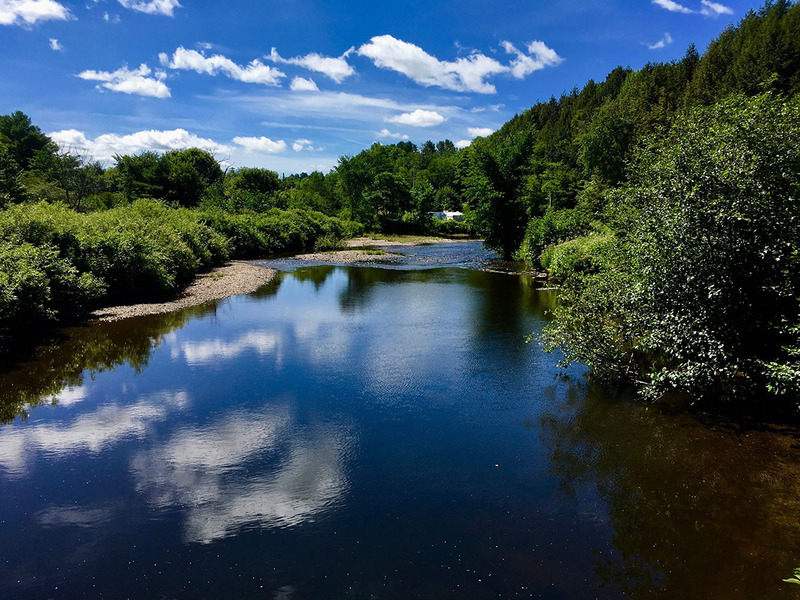 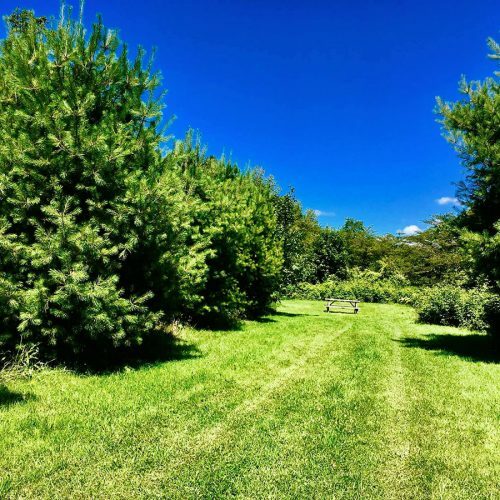 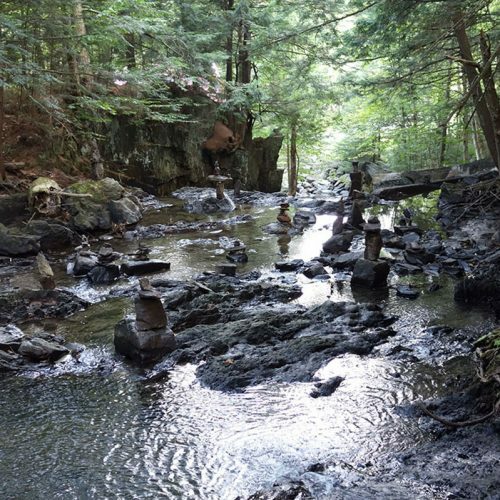 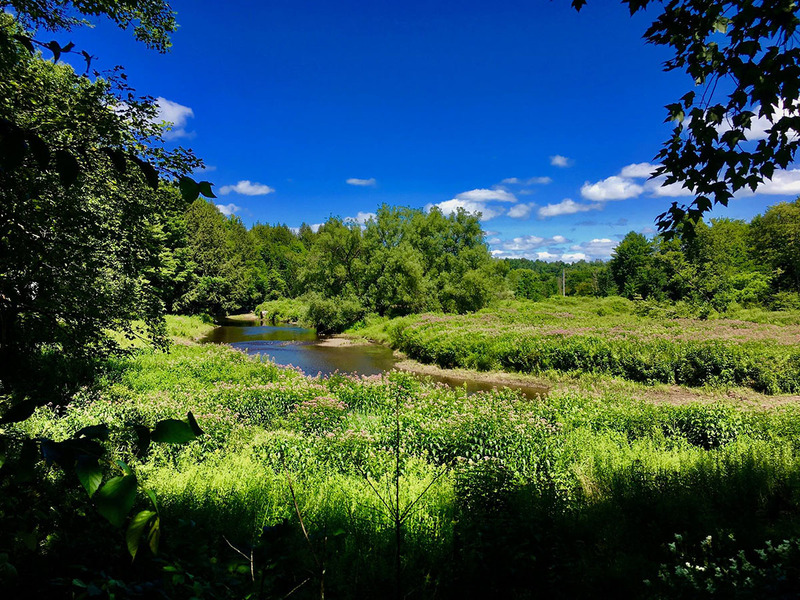 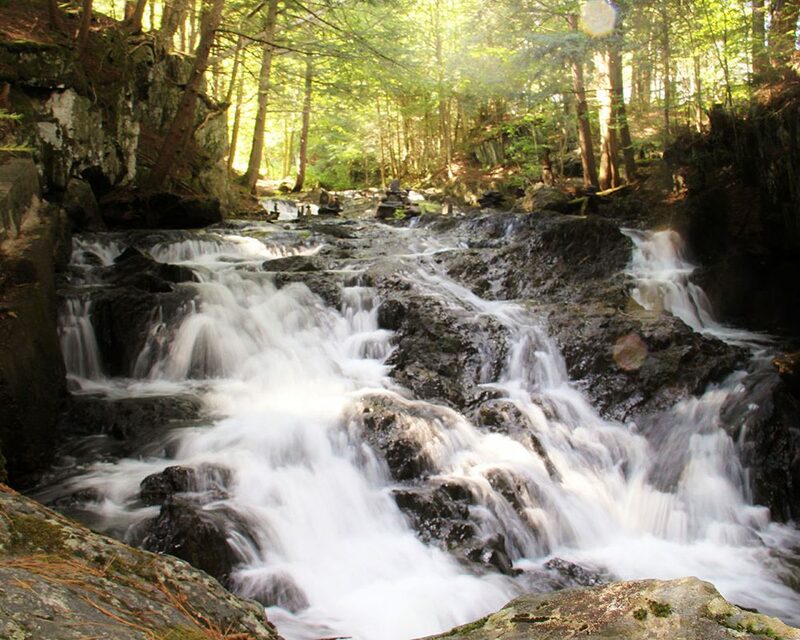 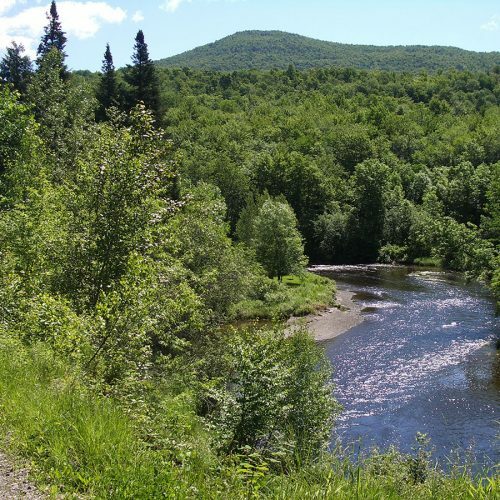 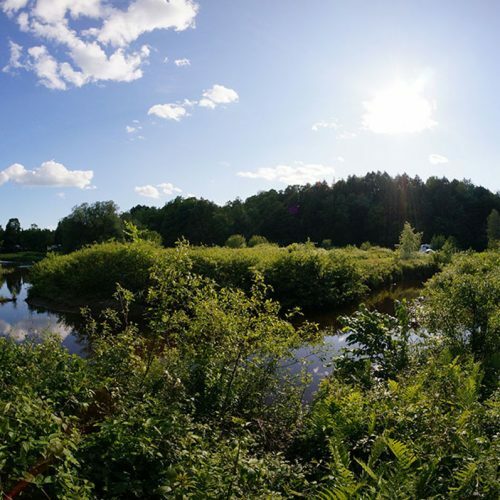 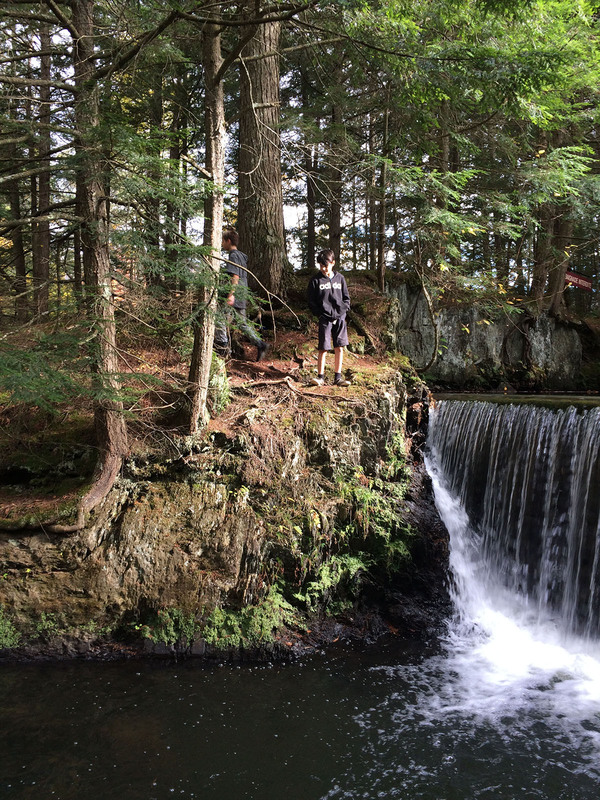 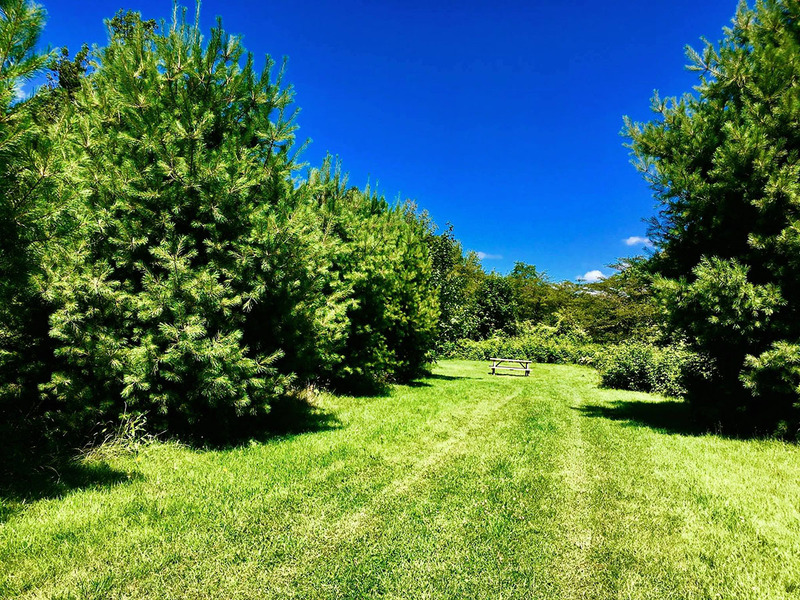 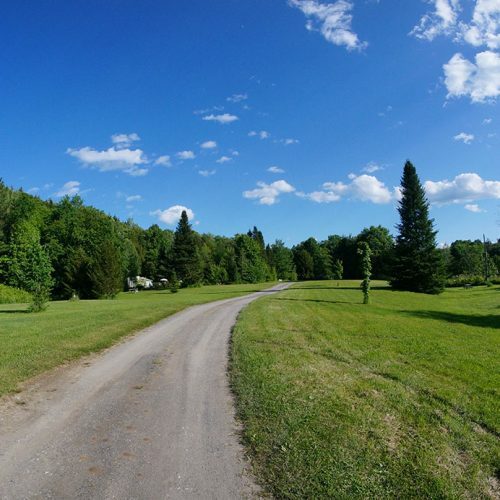 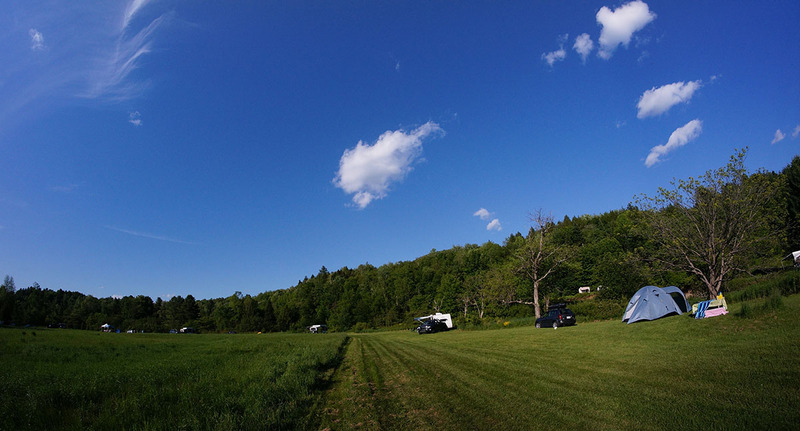 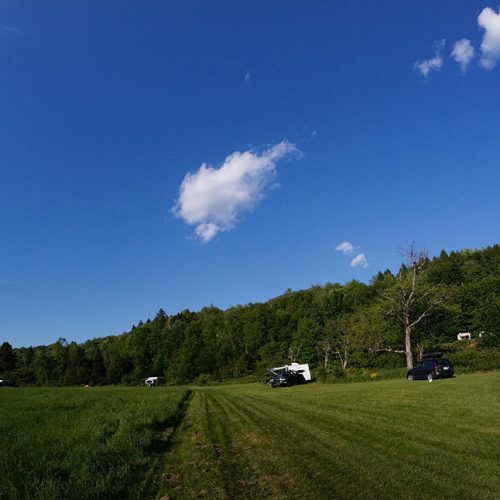 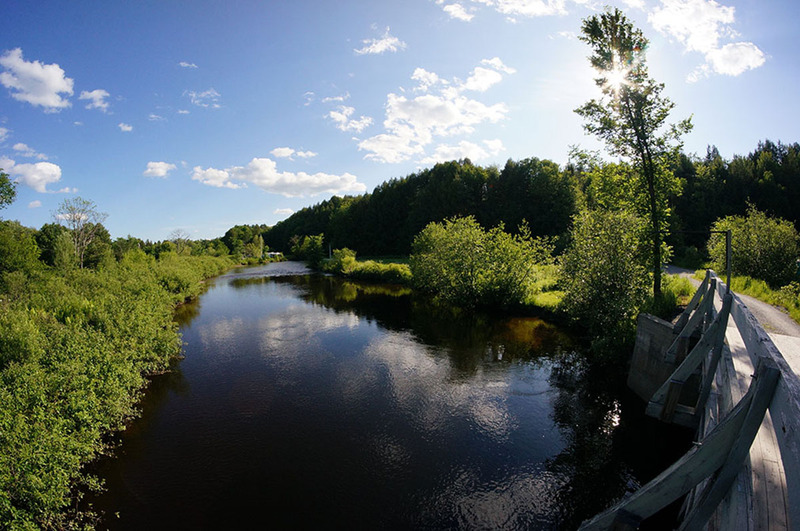 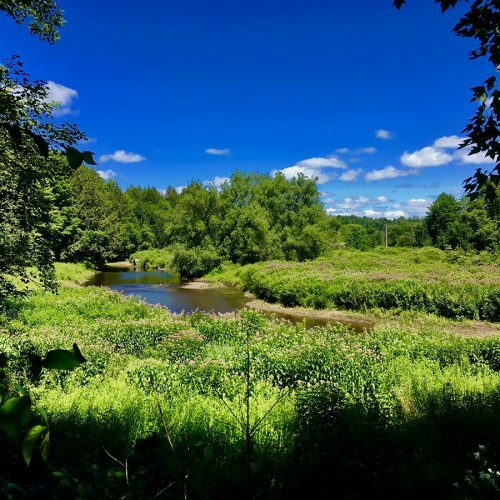 The campground is spread over 81 acres of enchanting countryside, typical of the Eastern Townships, with its’ valleys, mountains and scenic woodland settings. 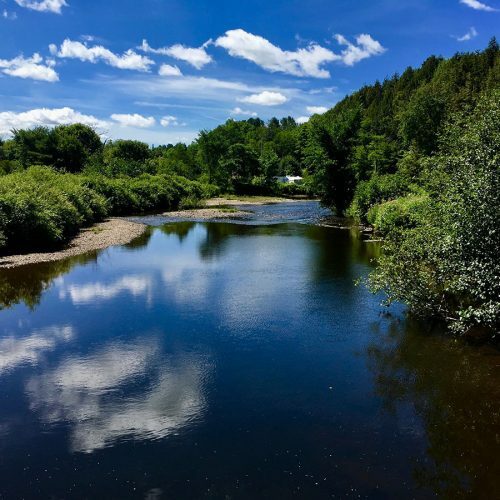 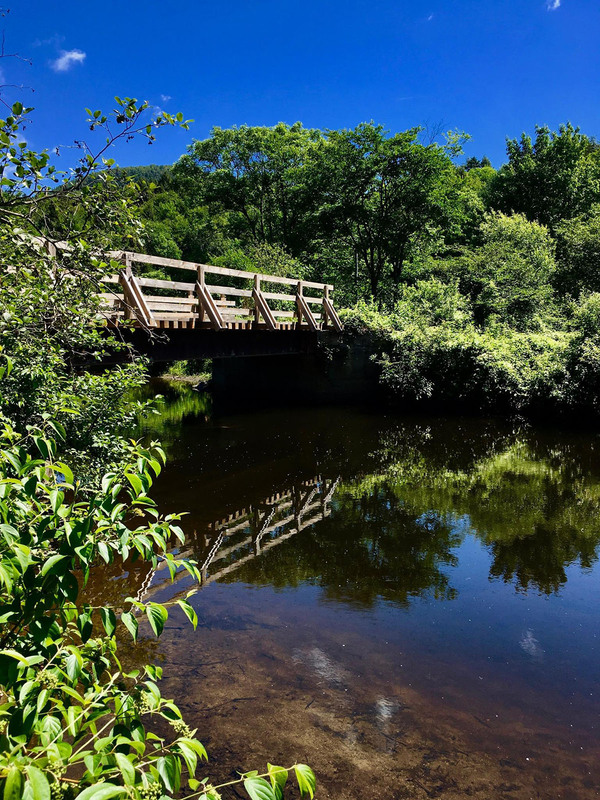 You’ll marvel at the crystal clear lake, the river with its’ charming little islands, the open fields and the pleasantly cool woods with their magnificent falls and babbling brooks. 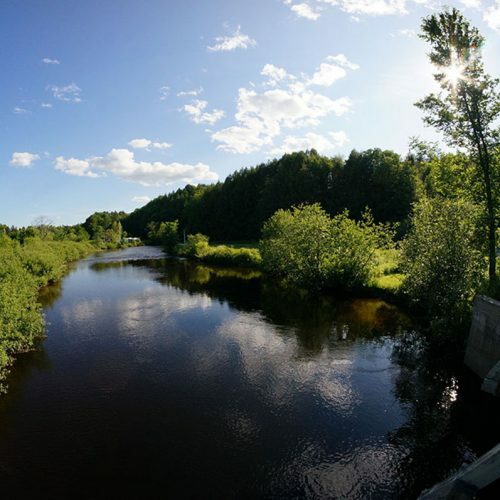 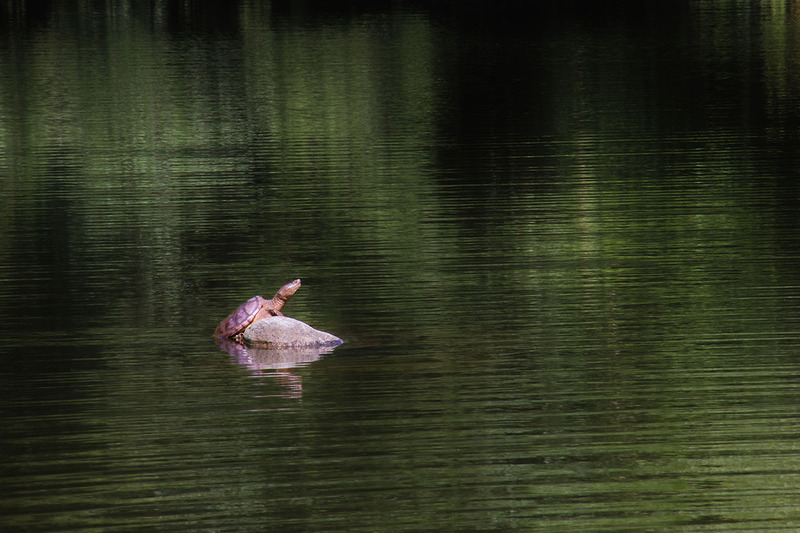 Almost all sites are located on the shores of the river where you can take a dip or enjoy kayaking. 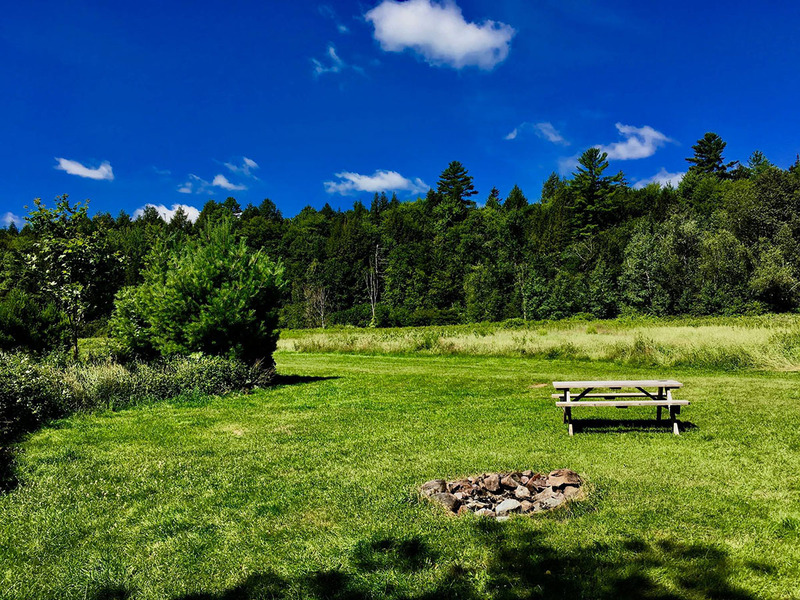 No activities are organized. 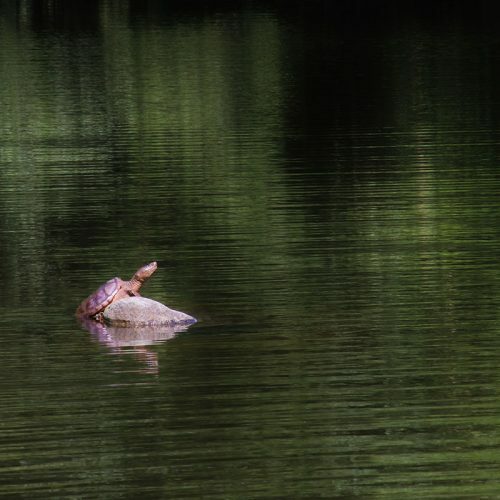 The pleasures of nature are simply yours to contemplate as you wish. 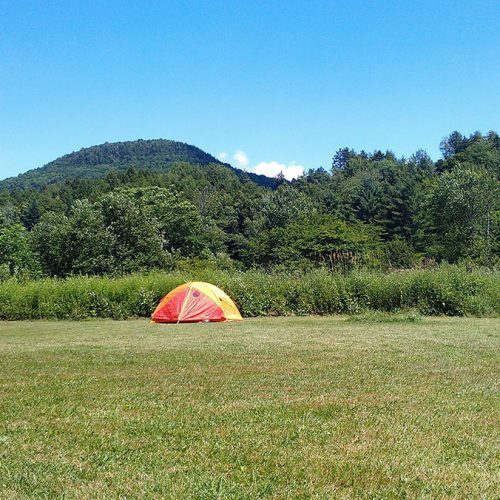 There are grassy sites, shaded or sunny sites and all well-spaced to accommodate tents or campers. 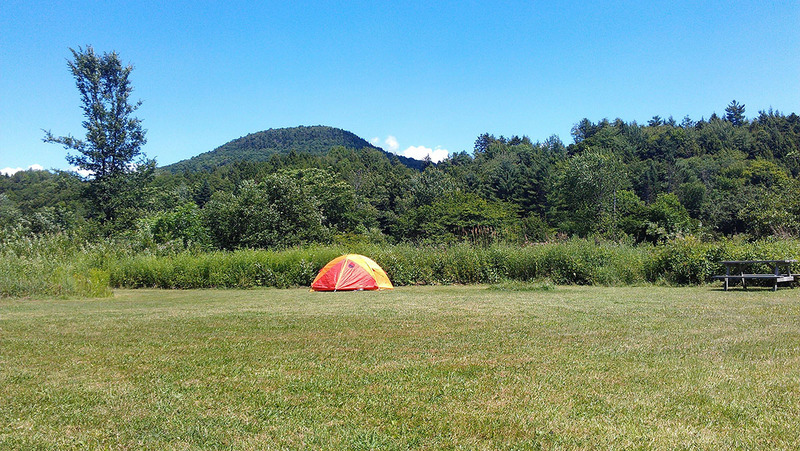 A section is reserved for seasonal campers. 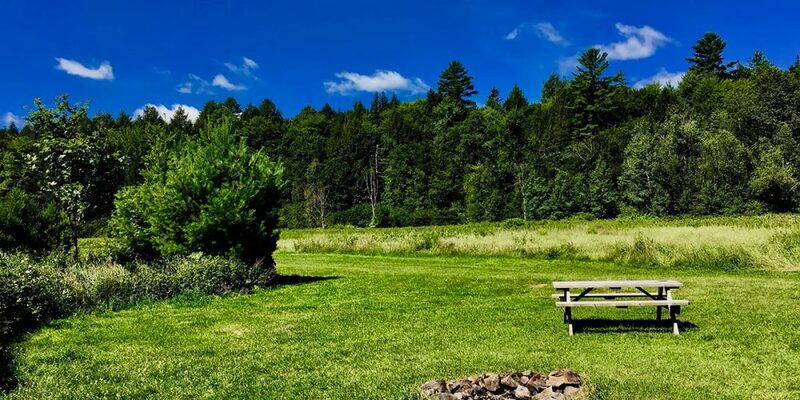 Firewood (7$/bundle) It is now forbidden to bring wood from outside to avoid an infestation.